Use the SnuggleSafe HeatPad to keep your dog toasty in bed. Heat this handy heating pad up in your microwave for a few minutes and your dog will enjoy cozy warmth for up to 10 hours. How Long Should You Microwave it? Look at the heat times in the heatpad instructions. For example with an 800 wagg microwave you're looking at about 6 minutes. How many times can you sue the SnuggleSafe Heatpad? If you use it daily then the recommendation is to change it every 3 years. Take Care to Follow Instructions and Do Not Over Microwave. If you over microwave the heatpad it will collapse safely. Once it's safely cooled you should dispose of it. The SnuggleSafe Heatpad is tested for pet safety by the SGS testing house. 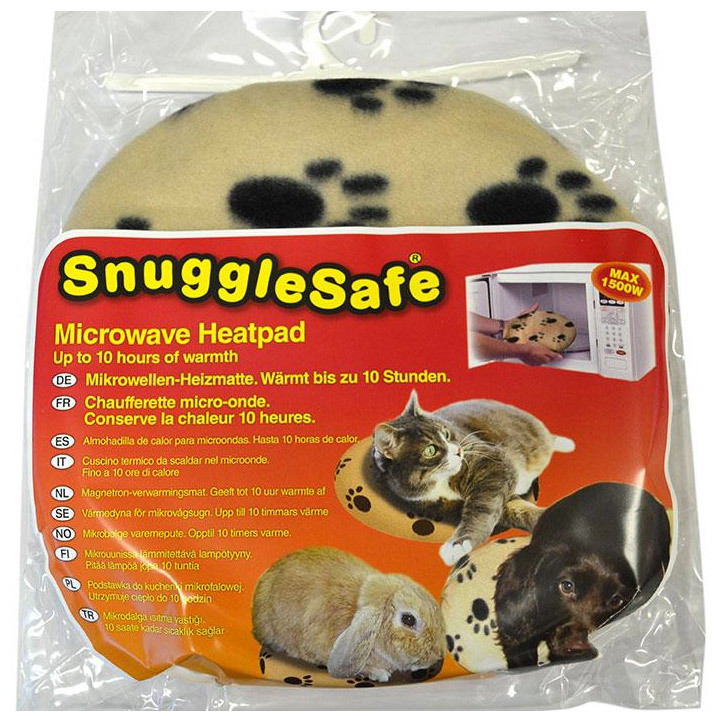 Read 1 customer review of SnuggleSafe Microwave Heat Pad. The average customer rating is 5.